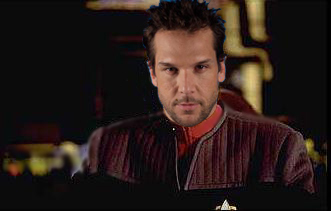 Rear Admrial Jaxx is a high ranking Betazoid officer of great renown having commanded the USS Victory, Starbase 118 Ops and the USS Apollo. A great many officers have served and thrived under his leadership but he started out just the same as any officer and first served as a counsellor aboard the USS Challenger in 2384. From there he worked through the ranks and did a spell as a strategic operation officer as he took his first steps into command as second officer aboard that ship. From there he was first officer aboard the USS Resolution before moving back into the role of strategic operations officer aboard the USS Eagle. In 2387 he was transferred to the USS Victory as first officer and would later become its commanding officer. Outside of work fitness is important and Jaxx loves to work out, he can often be found in the holodeck playing sports such as racquetball, fencing, skiing or sparring and is notably, one of few Betazoids who can use a Bat’leth. He is an avid swimmer and spends as much time in the water as is reasonably possible. He likes socialising with and getting to know his crew and will scrub in and help even the lowliest of crewmen, often much to their surprise! He is an excellent judge of character and is able to quickly assess new officers and decide whether he will like them or not. There are very few people on his bad side but thankfully they generally have the sense to keep out of his way. Congratulations to Rear Admiral Jaxx! His bio will be displayed on the wiki’s front page for the month of April. 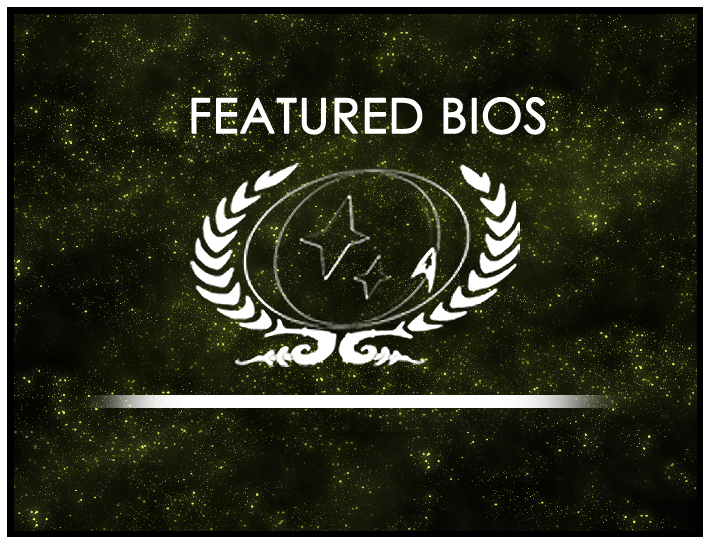 This month, our star pick bio belongs to Lieutenant Commander Nia Calderan, so congratulations to her as well. As always, you can find out more about the contest at its wiki page or in its forum. The next is now open, so be sure to drop by and submit your nominations!